To say this book is a complete guide is an understatement… Dr. Korn manages to offer every imaginable support one needs from peer-reviewed data validating her assertions to sample dialogues, case vignettes, goal setting procedures and essential outcomes… The Appendices are a treasure trove in themselves with comprehensive resources, guidelines, recipes, a sample client intake form, food-mood diary, and lists of foods containing gluten, lactose, casein, dairy, corn and oh so much more. There’s no doubt in my mind that this is the go-to textbook for clinicians wanting to bring awareness to food and its impact on their clients’ mental health. . . . This isn’t the kind of book you read once and set on the shelf; rather, it’s a companion to reference throughout the day working with clients, listening to friends and hearing your own body speak. There are excellent case scenarios, question/answer sections, recipes, and activities throughout the book… [A]ny healthcare professional with a thorough understanding of anatomy and physiology will benefit from reading the book and learning how food and nutritional deficiencies can negatively affect a person’s mood, mental health, and physical health. Nutrition Essentials for Mental Health offers the mental health clinician the principles and practices necessary to provide clients with nutritional counseling to improve mood and mental health. Integrating clinical evidence with the author’s extensive clinical experience, it takes clinicians step-by-step through the essentials for integrating nutritional therapies into mental health treatment. Throughout, brief clinical vignettes illustrate commonly encountered obstacles and how to overcome them. Assessment techniques for evaluating a client’s unique nutritional needs, and counseling methods for the challenging but rewarding process of nutritional change. With this resource in hand, clinicians can enhance the efficacy of all their methods and be prepared to support clients’ mental health with more effective, integrated treatment. “[A] much needed addition to the field of mental health… Though the book is written by and for clinicians, clients and those interested in nutrition will also find this book accessible. Chapter three is particularly helpful for therapists, as it includes a clinician checklist, food journals, and sample dialogue with a client for those new to addressing nutrition in a clinical counseling session. This easy-to-read guide is an invaluable resource for mental health professionals and is highly recommended. [A] complete and highly usable guide to the landscape of nutrition and the mind-body connection that the student, clinician and patient alike can connect to and learn from… [A]s a patient who suffered from the nutritional deficiencies and medical issues as well as the mental health concerns described, I would have greatly benefited from this book during my illness… As compared to other texts, [this book] is written in a more accessible tone for those without an extensive background in medicine and psychology; it also strikes me as a more beneficial resource due to the appendices, which are packed with recipes, charts of nutrients and their impacts, and the detailed examples of treatment plans that show the harmony of nutritional therapy when treating everything from seasonal affective disorder to schizophrenia. I highly recommend this book to any professional or clinician working in the mental health field, as it will provide an invaluable resource for their patients. Korn’s unique ability to articulate a collaborative approach toward compassionate mental health care is refreshing. With years of clinical experience supported by decades of evidence-based research, her book enables clinicians to help their patients understand the underlying biological processes driving their mood and behavior and make the necessary changes to restore balance. Leslie Korn has written the essential book for mental health care providers. As I read Nutrition Essentials for Mental Health, I was astonished at the level of detail. It is engagingly written and fascinatingly encyclopedic in its reach. The delicious recipes alone provide a pathway to health. This book should be a bible for the mental health field. If there is one book that I would recommend for mental health professionals to use when discussing dietary changes with their clients, this is it. It covers every conceivable aspect of the interaction between diet and mental health, and synthesizes all of the leading research into a highly readable text. 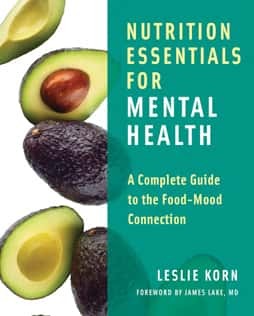 Nutrition Essentials for Mental Health is an absolute must-read for all mental health professionals, and highly recommended for anyone wanting to understand the connection between what we eat and how our minds function. Dr. Korn brings two crucial concepts to the table: the importance of the diet of our ancestors and the significance of biochemical individuality. This book will change lives! A must-read guidebook for patients and practitioners. This comprehensive mental health care resource illuminates the landscape of nutrition, including the latest research on the gut-brain connection, the role food intolerances can play in disrupting the nervous system, supplement guidelines, and powerful food-as-medicine strategies. Dr. Korn expertly guides readers to understand the complex―and fundamental―relationship between diet and mental well-being. This essential book will prepare clinicians to more effectively and holistically support their clients’ mental health. Your book is amazing. What a great resource for nutritional advice that is directly accessible to patients struggling with cognitive and mental health issues. Love the tables and diet reviews. All evidence based. Love, love it. We’ve been waiting for a resource like this for a long time. Nutrition Essentials for Mental Health is a textbook, a protocol guide, a cookbook, and a resource guide all-in-one, with many appendices and charts that will easily become a go-to reference for integrative health practitioners of all disciplines treating clients with mental health conditions… Korn has done a tremendous job of assimilating medical nutritional information from across many cultures and traditional practices. 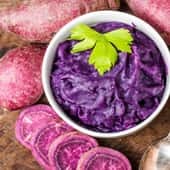 All ages are covered, with many suggestions on how to make nutrition fun for children and adults alike… Her approach is gentle and encouraging… without being overwhelming or discouraging to the client.